We all know that Jews can rock. After all, you only need to listen to Bob Dylan or Gene Simmons of Kiss to know that. But there are also some Jewish singers who are rocking Jewish music... and I don't mean Jon Fishman leading Phish in "Avinu Malkeinu." I remember in 1999 when the Jewish rock star Rick Recht came to the Jewish summer camp where I was working (Camp Ramah in Nyack, NY). He had all the little kids dancing and screaming like they were at an arena concert with 20,000 fans. 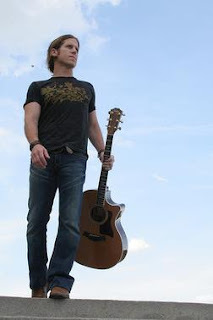 Then he worked his way into a cover of a Dave Matthews song and had the teen and 20-something staff members hooked. Recognizing that there was a need for an Internet radio website dedicated to Jewish rock music, Recht has created Jewish Rock Radio. "Jewish Rock Radio was launched to provide a mass communication channel utilizing the power of music to attract, inspire, entertain, and educate Jewish youth while providing information about a variety of meaningful engagement opportunities for Jewish youth." The channel will expose new and established Jewish artists, as well as provide education for artists to professionalize their music and marketing. Recht didn't want to simply create another Internet music channel. He wanted to give back to the Jewish youth who have been his biggest fans through Jewish youth groups and Jewish summer camps. 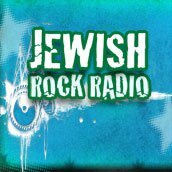 As the site explains, Jewish Rock Radio is also "for Jewish youth to share their experiences with each other about a variety of national Jewish programs in which they have participated; and, to inspire and create a ‘path’ for Jewish youth to participate in Jewish life as Jewish composers, performers, songleaders, and teachers." Jewish Rock Radio (JRR) is the flagship program of Judaism Alive, a nonprofit 501(c)3 formed in 2009 to strengthen Jewish identity and connection for youth through their love of music, musical instruments, and online interaction. While Jewish teens will continue to fill their iPods with Miley Cyrus, Justin Bieber, Beyoncé and Jay-Z, now they just might add some Jewish rockers to their playlist like Naomi Less, Blue Fringe, Josh Nelson and Socalled. music is very much similar to the printed version of the sheet music but it has certain advantages over the print version. It doesn’t goes out of print so it can be offered in titles that are unavailable anywhere else. These titles could be downloaded for guitars, piano, vocal, violin and other instruments.